We developed the original Coalesse brand name and positioning strategy for Steelcase in 2008, in partnership with Tolleson Design. 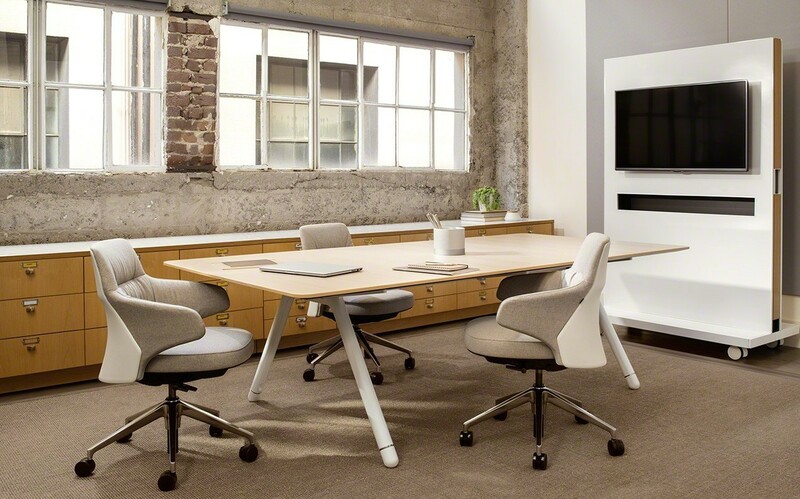 Coalesse conveys a progressive, responsive approach to premium design, with specialized seating, conference and desk solutions that meet the needs of today’s hybrid work/live culture. Following a highly successful launch at the NeoCon furnishings conference, Coalesse rose rapidly to a highly visible position among major providers to the Architecture and Design (A&D) markets. Over time, the brand’s success and growth led to an increasingly complex product portfolio. With a diverse product line and a risk averse legal team, the need to develop and globally protect a name for each product became a major marketing bottleneck for the company. After interviewing product teams and customers, we developed a list of priorities that the naming strategy should accomplish. While it was important to internal teams to express a unique story for each product, it was clear that the A&D community wanted a better sense of what makes Coalesse products collectively distinct and valuable. This input, combined with the internal need for speed of naming development and international trademark availability led us to develop a uniquely suited naming strategy. To streamline the naming process, we combined two conventions. California location names–a street, a city or a county–to evoke the idea of inspiring spaces and a progressive brand, were paired with California area codes. The result is a framework of proprietary alphanumeric names that highlights Coalesse’s design heritage while solving legal protection challenges. This convention inspired a rich palette of original name/numbers like Potrero415 and Solano707, linking products to Coalesse’s California home and source of inspiration. Coalesse has shortened its go-to-market timing dramatically. Product naming, from development to global protection, now takes weeks instead of months. Going forward, the breadth of the Coalesse portfolio will tie together in a way that differentiates the products and the brand.